More ghosts and jack o’ lanterns! I’m afraid of the scary Halloween stuff, so we like to keep it happy around here. We made these fun and simple stencils to use on treat bags, but you could add them to tees, banners, or any other fabric decorations. 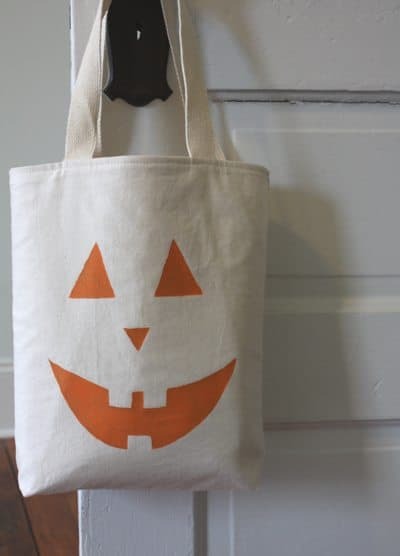 You can buy a simple canvas tote bag at most craft stores, or you can make one like I did with muslin using this tutorial (just skip the pocket and embroidery). 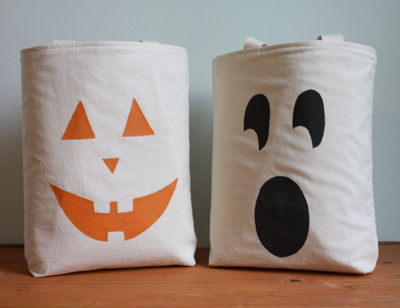 If you make your own bag, it’s easiest to add the stencil to your fabric before you sew. The kids can do the painting so they’ll have a bag they love to carry. Be sure to allow a day for drying time. 1. Cut one of the largest rectangles from your cereal box. 2. 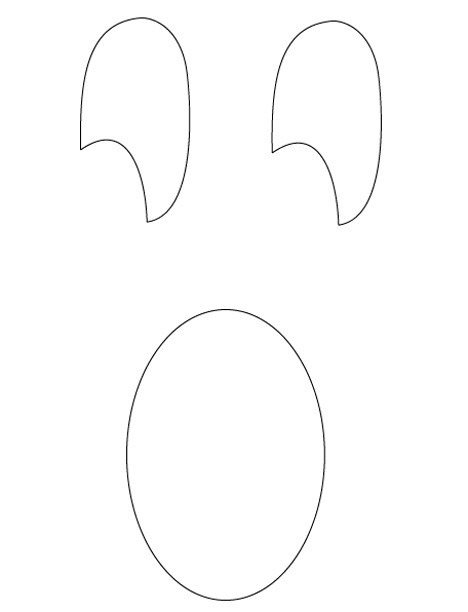 Click on one of the images below and print out the template. 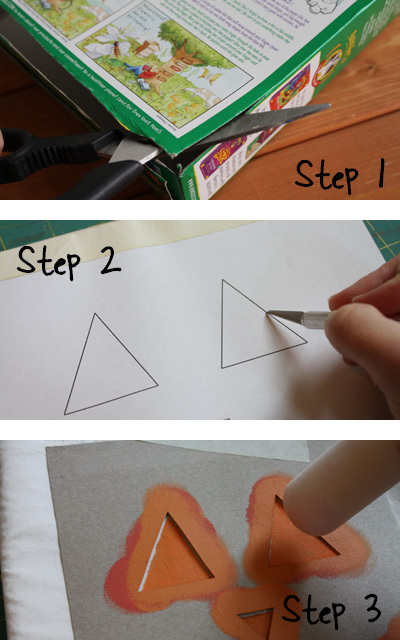 Secure the template to your cardboard with masking tape. 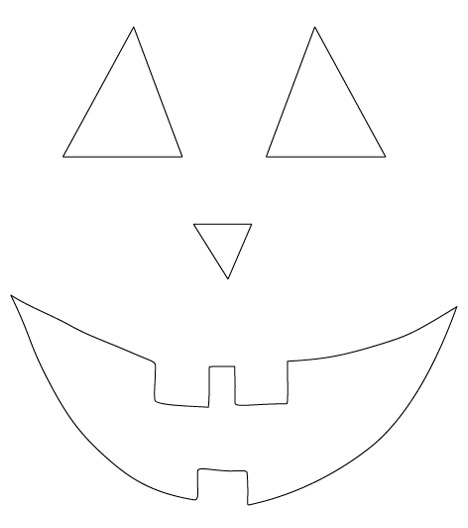 Cut out the shapes with a craft knife on a cutting mat. Obviously an adult will need to do this part. 3. Next, tape your template to the fabric and have your kids dab on the paint using a stencil brush or sponge (we used the end of a spongy paint roller). The trick to getting it on neatly is to hold the brush or sponge end perpendicular to the surface. All done! Now let those kids get a belly ache! Very nice project! Thank you for sharing your idea! !